Mauro Marrazza aka Mr.Mama, begins its career of Dj in 1993 when He acquires the first single ones on vinyl. At first to propose music to people itseems much strange one, but its strong conviction starts it subsequently, alsothanks to the aid of some its friends, to the conduction of a issuing programnear a wireless one: STUDIO 100 FM. This experience is fundamental for its career that offers the possibility to it to diffuse its music through the radio and therefore it is introduced from some persons wider. In the 1994/95 it collaborates with some Dance Clubs likes : EL COTO CLUB , ONYX CLUB , METROPOLIS for a after tea, EL MAMBO CLUB and at TRIOS CLUB. In 1998 it opens a parenthesis of the duration very 3 years near the SYSTEM CLUB, subsequently with SYLVER SYSTEM,where he play his music with artists of heavy caliber like Tony Humpries, Terry Hunter, Seamus Haji, Dimitri from Paris and many more. In 2003 it begins plan GARAGEFAMILY,with his friend Mario Pagliari , playing in several clubs of Italy. Mr.Mama - Snake shake ep On EQUAL Records opens its career by producer, thanks to Snake Shake played from Luis Radio, Tony Humphries, Quentin Harris, Filsonik, Mark Stone, Tedd Patterson and many more. Now is Out his second single On Look At U Records Titled DNY ft. MR.MAMA - Bubbles Ep. 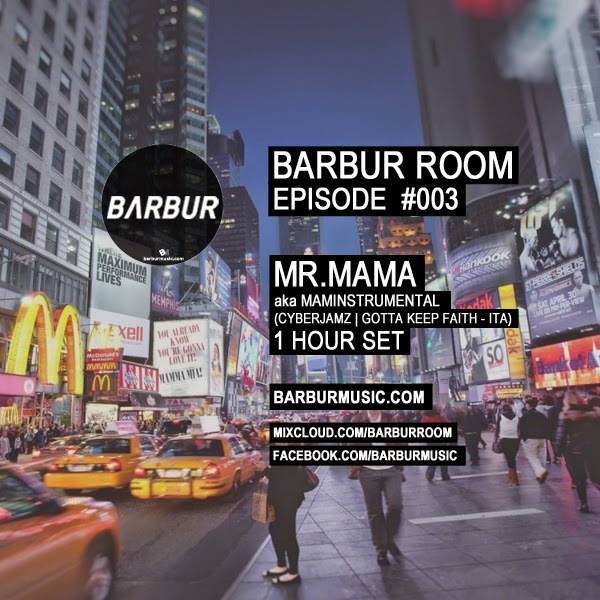 Ready some news on LONDON'S LABEL 616 RECORDS, Mr.Mama is out with 2 new EP, MEGABOUNCE EP AND DEEPAH EP. New remixes comin out on Gotta Keep Faith records DNY Feat TONY LORETO - Night in Nyc and castelbad remix, arnaud D remix and many more. Out now ITALIAN ALL STARS EP on Franck Roger Label (EARTHRUMENTAL RECORDS) inside u can find MR.MAMA - THE SHOT with famous italian producers PASTA BOYS - HIDDEN DIVA.Another track on Luis benedetti's Label, SOULSHINE RECORDS with an hot remix for ARNAUD D from france and workin for some hot productions and remixes. Now is very busy with new projects, new productions and new Clubs to where he's playing, like Quartiere Latino(South Italy), ENJOY DISCO (Italy), 23 ESSEX STREET (Birmingham, UK), TEPAPA DISCO (Italy) , LIVING CLUB (South Italy). Latest new Release is out now on Cyberjamz Records (Tampa, Florida) and its titled Mondonuovo Ep, 5 Dancemusic Tracks dedicated in hopes of helping our family in Haiti.100% of proceeds go towards Haiti Disaster Releif and on the same label with boss Sammy Rock, are out 3 ep and some remixes. He's in touch with South africans artists and special friends like Dj Q, Sai & Ribatone, Lunga from Baainar Family with his two new remixes on the same label titled "We Are Africa" and now is come back in studio for something news.